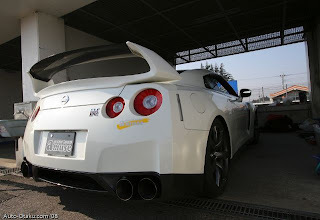 This R35 GT-R by Power House Amuse has been modified with Recaro seats , lip , wing , and R1 Titan exhaust system. 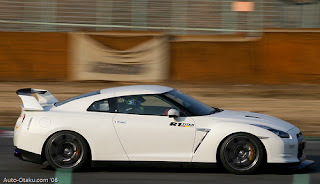 The car managed a best time of 1:01.332 at Tsukuba. And I still don't like the 4 tip exhaust. Start over , don't copy what the factory screwed up, make it better please. Come on sheep.